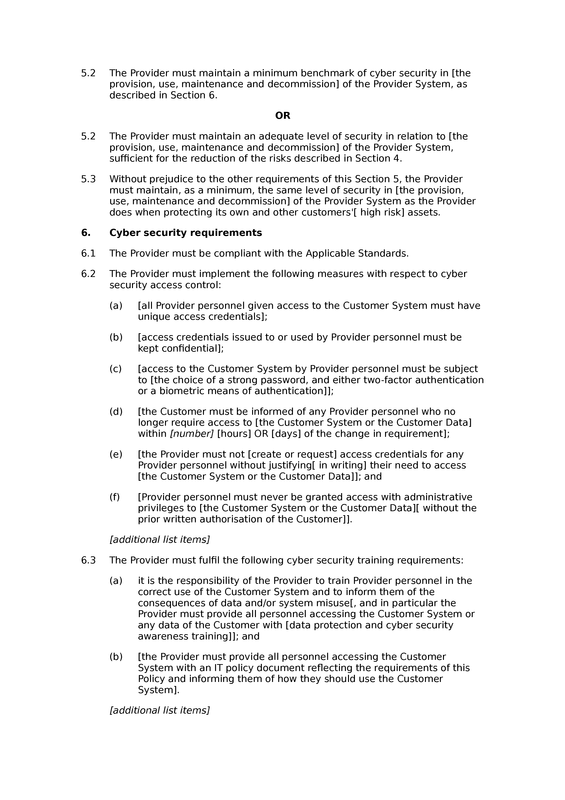 This is a standard-length supplier cyber security policy designed to help businesses to create contractually enforceable obligations on suppliers with respect to cyber security. 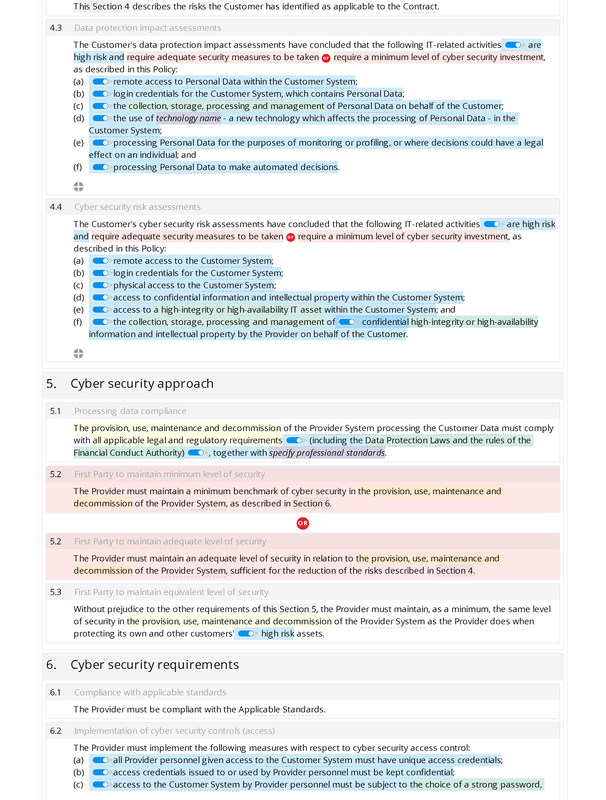 This flexible template can be edited either to focus on specific, identified risks, or to apply a general benchmark across a supplier's systems. Before or while editing the policy, you should establish what the relevant risks are, your general approach to those risks and the resources you propose to invest in mitigating the risks. Detailed guidance notes are included to help you when editing this document. 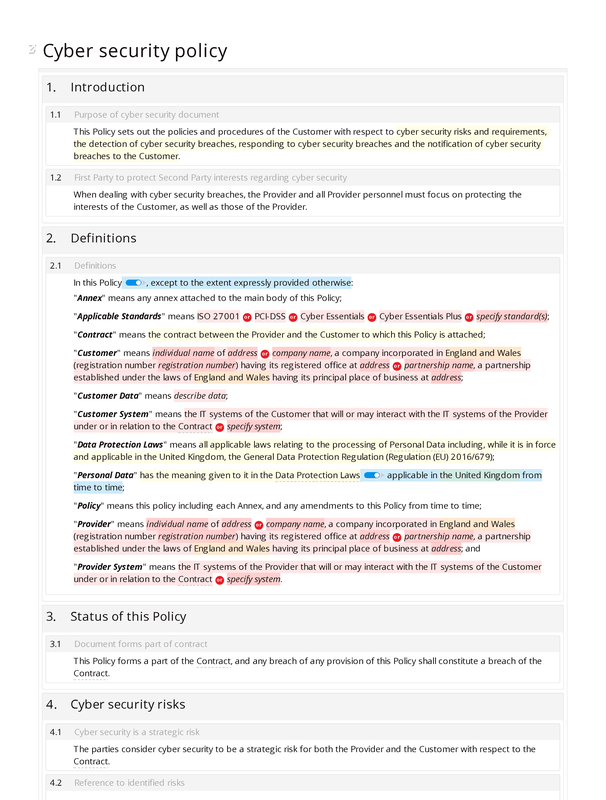 In addition to the provisions in this standard version of the policy, the premium version includes provisions covering: (i) evidential requirements and auditing; (ii) detecting breaches; (iii) responding to breaches; and (iv) system and policy reviews and updates.